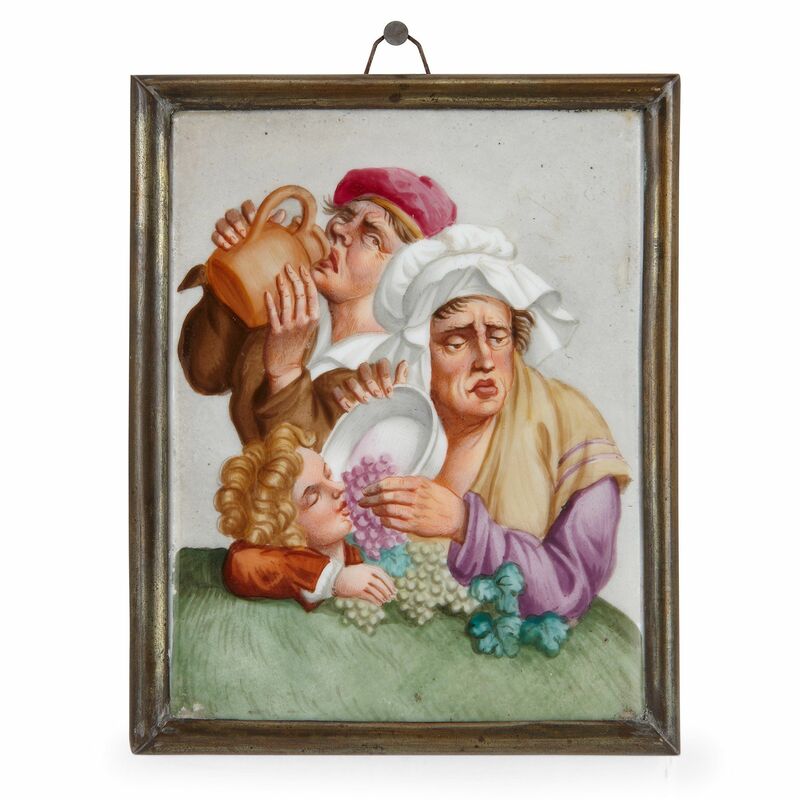 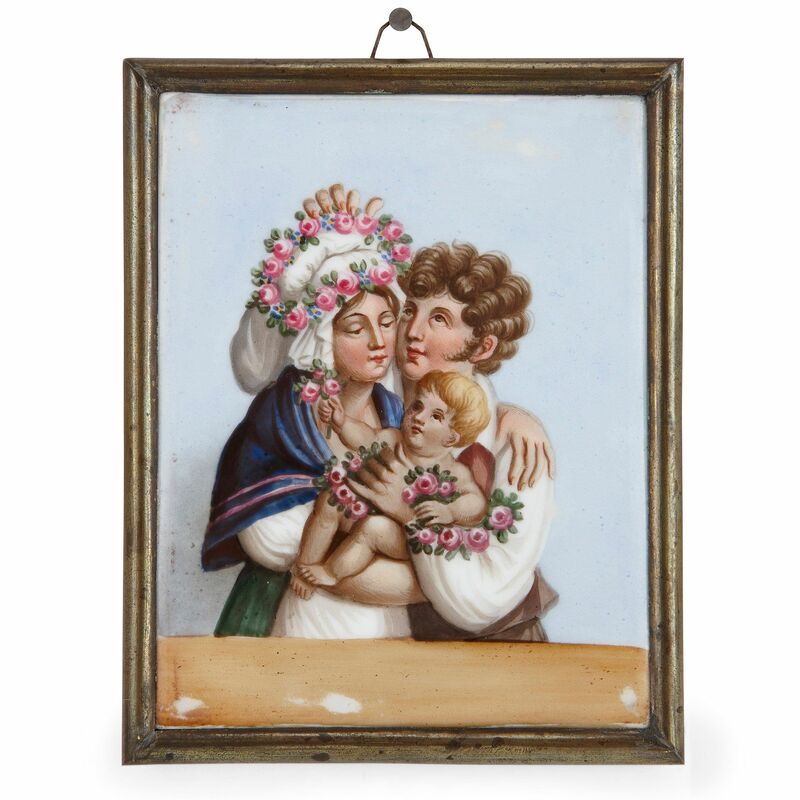 These porcelain plaques each represent a different season of the year, and are magnificent examples of the work of the celebrated Meissen Porcelain Manufactory. 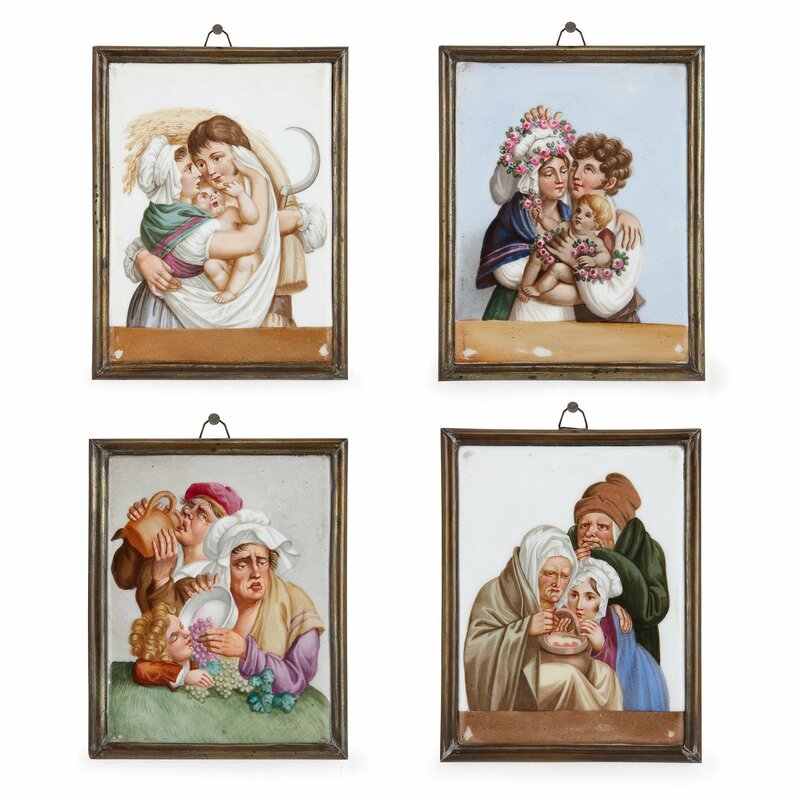 Each of the four allegorical porcelain plaques portrays a family scene, with a mother and father and one child, with each plaque representing one of the Four Seasons of Spring, Summer, Autumn and Winter. 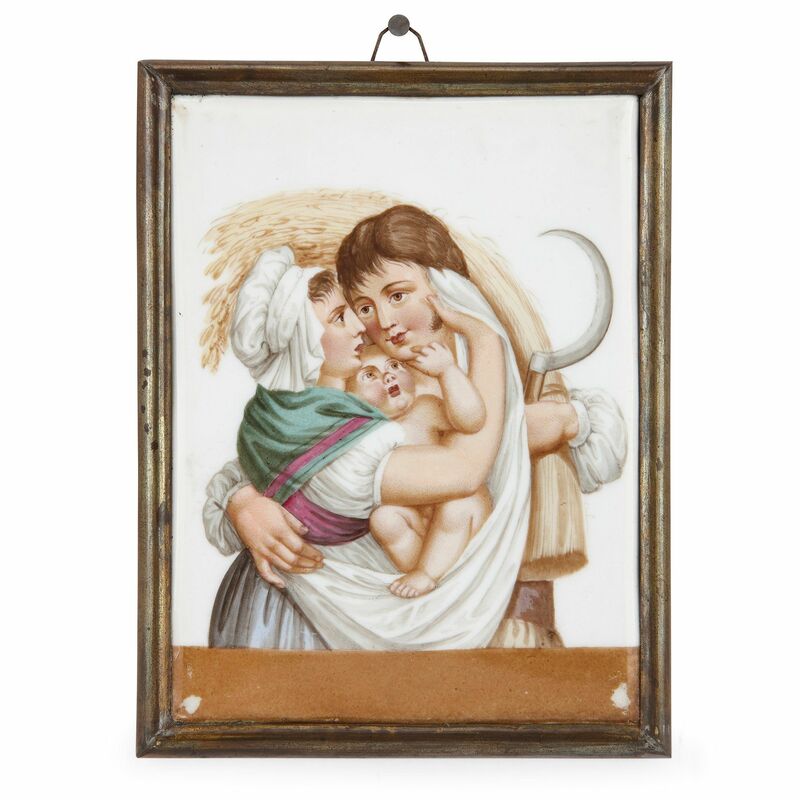 The plaque representing Spring shows the three figures with garlands of flowers, while Summer depicts the father with a scythe and holding a bundle of wheat. 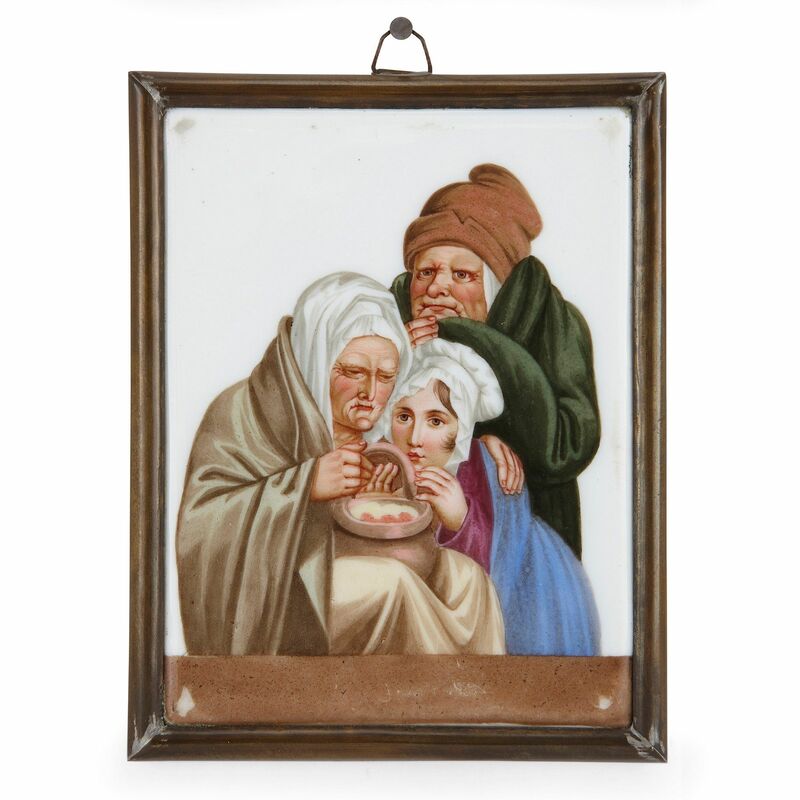 In Autumn the child is shown eating grapes while the father is drinking from a jug of wine, while in Winter the family are depicted huddled under blankets. 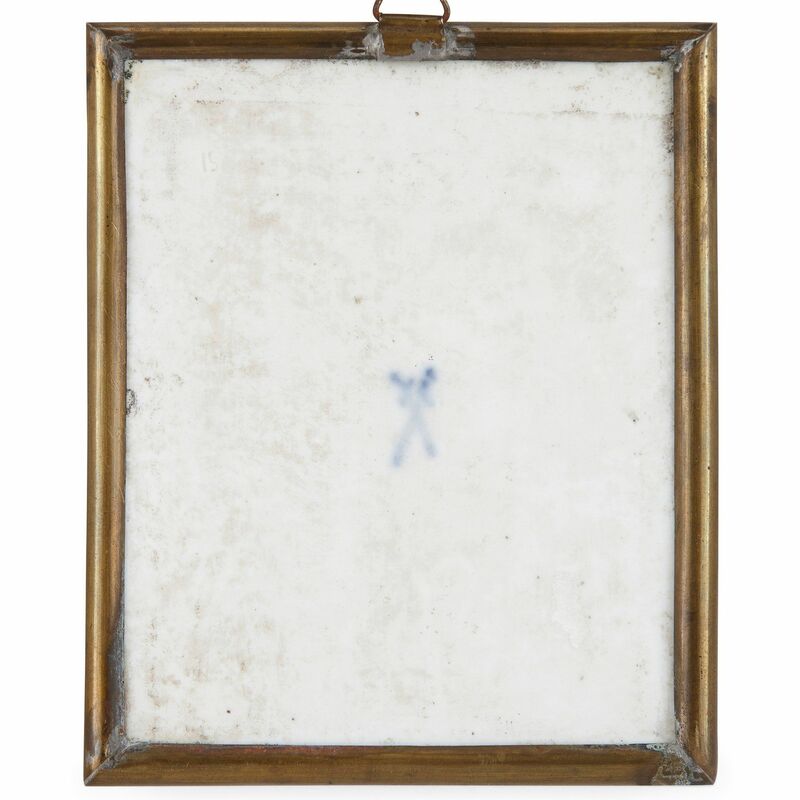 The plaques are set in gilt metal frames, and are marked to the reverse with the blue crossed sword marks of the Meissen Porcelain Manufactory.